The towering Holiday Tree is up and ready to enjoy. Stop by the Neiman Marcus / Bloo mingdale’s Courtyard to visit this beauty and take your photo in front of it. Santa is waiting in his beautiful home on the Atrium Lawn to visit him and tell him your holiday wishes. Come take a photo with him to capture the holiday magic. Skate under the stars and the lights of the Giant Wheel from November 2 - January 6. Every Thursday, special entertainment and giveaways from One West Bank make the experience even more fun! Come dressed in the weekly theme and you will get $5 off your ticket. A 75-foot tree lights up every night with a choreographed light show every 30 minutes from 5 pm - 11 pm. Come to the Giant Wheel court between November 23 and December 24 to see this marvel of light. 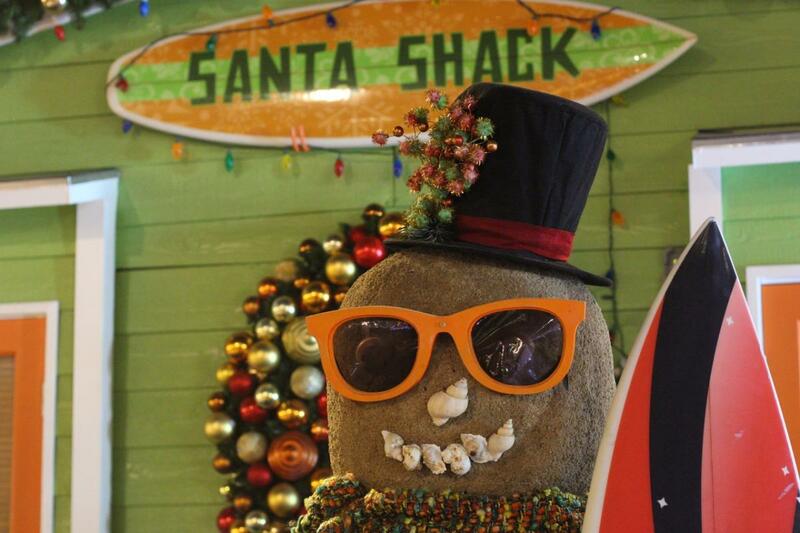 Santa is waiting in his surf shack to hear your holiday wishes. Kids can dance and run through the mist fountain of Palm Court and then visit dear Santa Claus from November 23 - December 24. 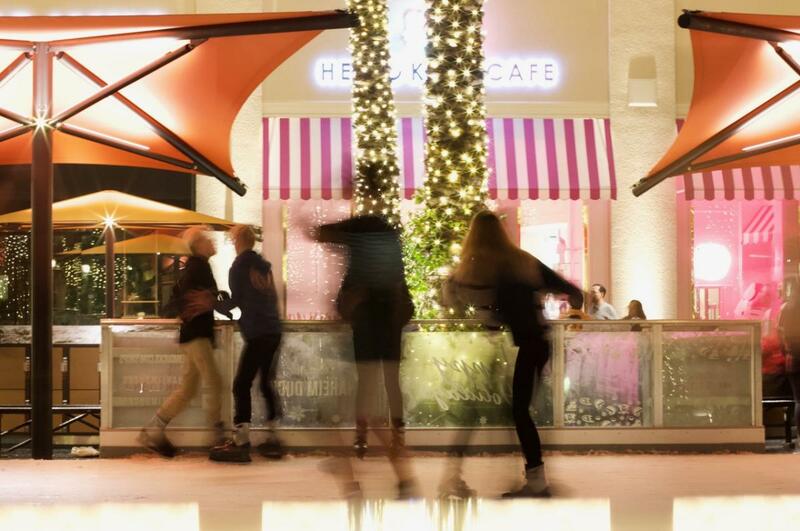 Find all the perfect holiday gifts at the Irvine Spectrum Center for everyone on your list. Black Friday Frenzy is night and morning of festive fun with amazing deals. 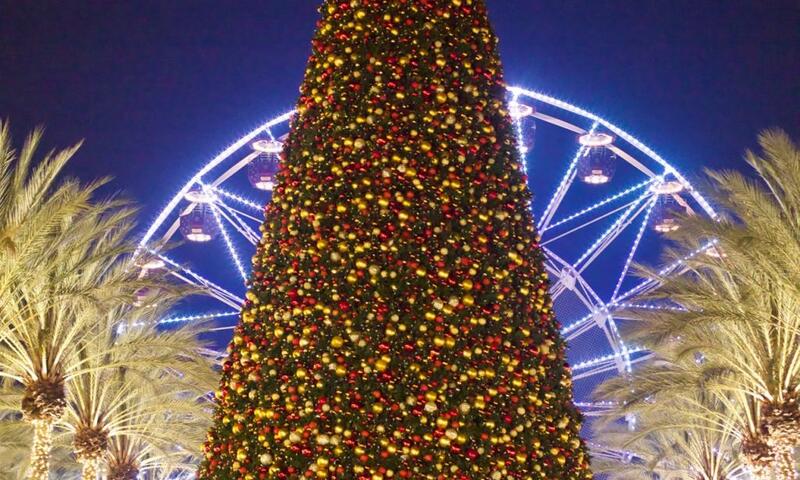 Enjoy free ice skating, free valet parking, and free carousel and Giant Wheel rides until 8am (based on availability).